Highlighting his anti-corruption credentials, Modi said that Michel was extradited because the people had voted for him to stand up to the corrupt. 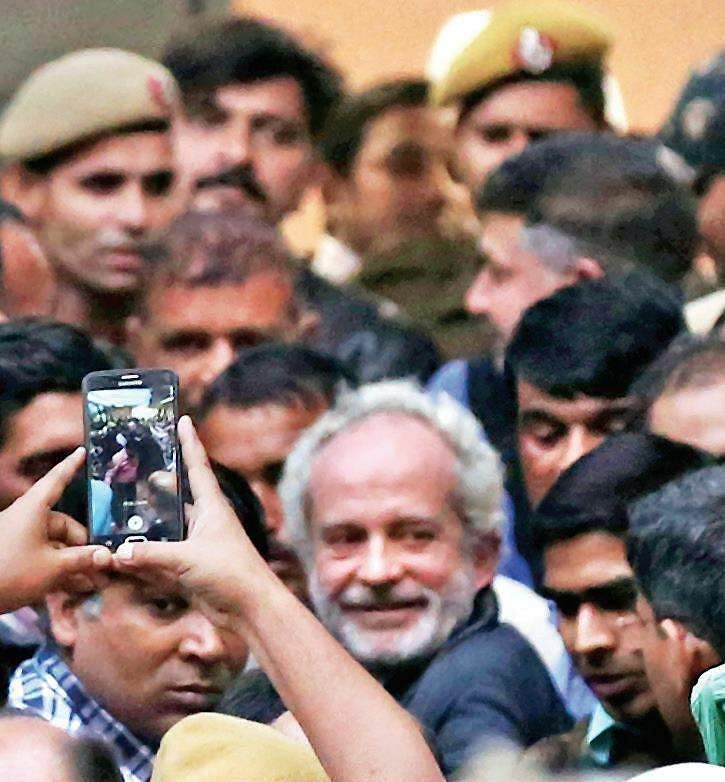 NEW DELHI: Seemingly on the back foot for months in the face of a Congress onslaught over the Rafale deal, Prime Minister Narendra Modi on Wednesday led the BJP’s offensive against the main opposition party, trumpeting the extradition of Christian Michel, the alleged middleman in the AugustaWestland helicopter deal, on the last day of electioneering in Rajasthan. Modi thundered in Dausa: “This Razdaar (one who’s privy to secrets) will spill the beans”. The Congress hit back, saying that the law will take its own course, and alleged that Modi was weaving a web of lies. “You must have read in today’s newspapers about a VVIP helicopter scam of thousands of crore. You would be aware about a letter of Madam Sonia Gandhi,” said Modi, adding that his government persisted with searching files to zero in on a “Razdaar”. The PM added, “he (Michel) was a middleman from England who lived in Dubai, where he served the friends of Namdaars (term used for Congress leaders by Modi)”. With the BJP using Michel’s extradition to put the Congress in the dock, Ahmed Patel, a senior leader of the opposition party, told reporters that the “law will take its own course, and now all will get clear”. The Congress sought a CBI probe into events preceding the exoneration of AgustaWestland and its parent firm Leonardo, earlier known as Finmeccanica, which had been blacklisted by the UPA government. “Facing imminent defeat, Modi and the BJP are seeking to weave a web of lies, perpetuate falsehoods, and construct a mesh of deception to hoodwink people in the VVIP helicopter purchase,” Congress spokesperson Randeep Surjewala said. Claiming that the party was intrigued, the Congress asked why the Modi government had permitted a blacklisted firm to get clearances from the Foreign Investment Promotion Board and allowed its entry as “partner or sub-contractor to various Indian corporates”. The Centre had also allowed AgustaWestland to bid for 100 naval utility helicopters in partnership with an Indian corporate firm, the Congress countered.